In this post, Kate Smee, Head of Humanities at Chipping Sodbury School, asks, can Colin the Centipede help students to understand what the point of using sources is? As we come under ever greater pressure to achieve higher grades, the push has been to make source work simpler. We have used the familiar strategies such as writing frames, formulae, deconstructing techniques, mnemonics…etc. However, increasingly I have become concerned that we deconstruct too far, providing so much scaffolding that the reason for building it is lost. Has source work become about fitting answers to a mark scheme rather than about “Engaging in the process of historical enquiry” (SHP principle number 2)? In addition (and less high-mindedly), I think that going too far down a formulaic route does our students less favours than we think. GCSE source based questions are many and varied, and we should be teaching them to expect the unexpected. Students need to think on their feet, and need an understanding of the purpose of using sources in order to do that. We then discussed which word in the definition was the most interesting, and the answer I was looking for was “a”. I wanted the students to understand that there are many ways of telling a story, there is never a definitive version. We need to ask someone who was there! My daughter Martha was there. She is 6 and says a unicorn took Colin away. I was there. I wasn’t paying much attention to the centipede. We need better eye witnesses – more useful ones! Like who? 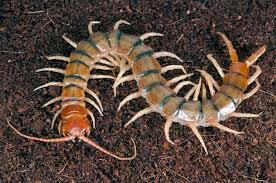 Maybe ones who are interested in centipedes? And what else do we need, to check how likely it is that our eye witnesses are right? Well, what we really need is a centipede expert. By the end of that, students had got the idea that to work out a plausible story, you need more than one eye witness, and you need to make sure that what the eye witnesses are saying matches what we know. We then went on to apply this big concept stuff to the kinds of things that crop up in exams, seeing how these questions relate to the job historians are trying to do. However, student feedback after the lesson was very positive. “I get why we do this now”, “I think I will be able to answer odd questions in an exam better” were my favourite responses! This work is really part of a package of measures I have been exploring this year to build up students’ resilience to challenge in examinations giving them the confidence to stop and think rather than just leaving questions out (AAAAARGH!!). There has been some success with this, and in the paper 1 and 2 mocks done in the summer terms, no one has left a question out. So something has changed, and I think Colin is part of that package. Only one student has mentioned him specifically in her exam evaluation work as having helped, but it is the kind of intervention where you just have to keep drip feeding on, and evaluating impact at this stage is difficult. Introduce the concepts behind Colin throughout the curriculum. Make sure students understand the point of the skills they are learning. Keep drip feeding him in…and then do a more thorough evaluation at the end of the course.